Construction companies' workload dropped in the last six months of 2017 as a slowdown in public sector contracts brought firms to a "dead end," according to a survey today. And Construction Employers Federation managing director John Armstrong said the findings from its half-year state of trade survey illustrated concerns over workflow from the public sector after around 14 months without an Executive. The survey, carried out with accountancy firm BDO, said just under half of firms worked at full or almost full capacity during the second half of the year. That was down on the first six months of 2017 when two-thirds worked at full or almost full capacity. Mr Armstrong said: "The indigenous industry is still heavily reliant on public spending and the work coming on to the market is currently slowing down. It's significant and a note of concern." BDO partner Brian Murphy added: "A lot of businesses have been starved of work because of the political situation." Mr Armstrong said that the continued failure to reach a political settlement means decisions are not being made, especially on infrastructure projects. However, there was good news as the CEF welcomed last week's £75m road maintenance budget, which was announced by the Department for Infrastructure. David Fry, assistant director of the CEF, said: "I sense that will be spent fairly quickly, specifically for road maintenance. It came unexpectedly and it's very welcome - £15m of that budget will be spent in the first four to six weeks and there will be a lot of firms who will benefit from that. It will protect an awful lot of jobs." Other positive news coming from the sector included a boost in private sector contracts given the recent growth in the hotel industry here, including projects like the AC Marriott and Grand Central. And Mr Armstrong said house building was "fairly buoyant following a rough eight or nine years". "I think what we're seeing now is both a recovery in house prices and house building and that is very important ...but we need to see that going further," he said. 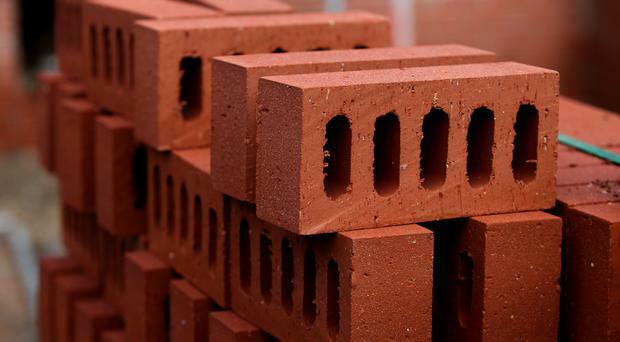 Mr Murphy said Northern Ireland construction firms were also benefiting from high-profile contracts in England, but added "it is disappointing that they are doing better further afield because there are not as many opportunities here".